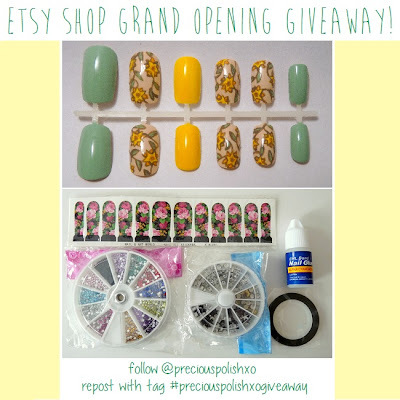 precious polish: Etsy Shop Grand Opening + Giveaway! Click each image to be taken directly to the listing. I'm so happy to finally have the shop up and running. Let me know if you have any questions, or suggestions for designs you would like to see! Thank you for reading, and good luck to you if you enter the giveaway! Best of luck, girl :D I wish you a lot of success! !